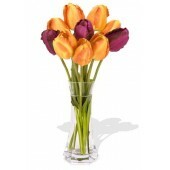 Sunny yellow tulips are a sure sign of spring. 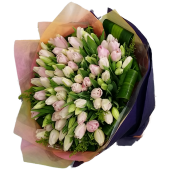 Even if the weather is not cooperating, you can be sure the person who receives this bright bouquet will feel the warmth of your message. 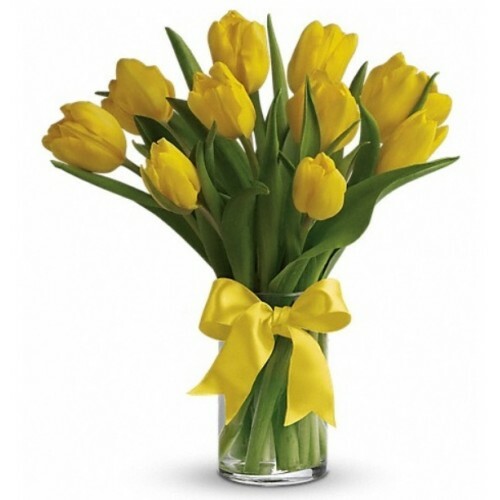 Dazzling yellow tulips are delivered in an exclusive glass vase that is all wrapped up with a hat else bright yellow ribbon. So go ahead and send sunshine. Even or especially if it is a cloudy day!